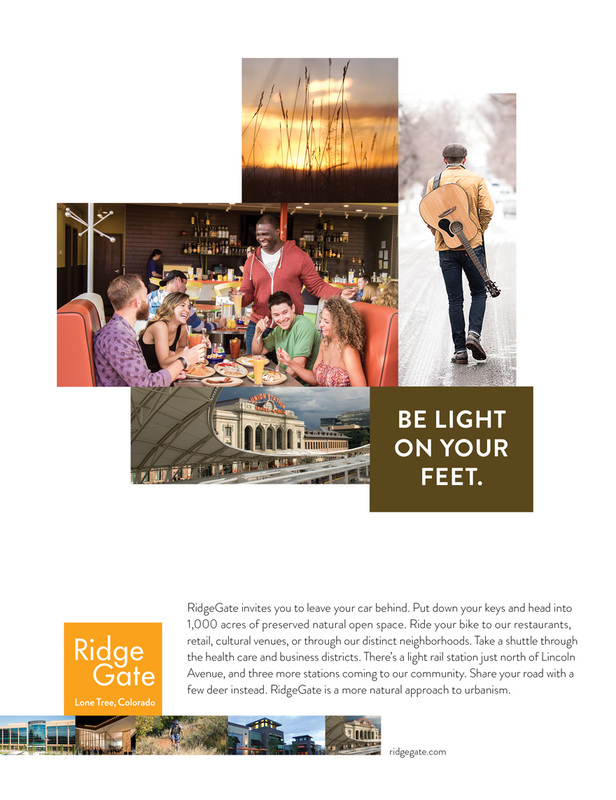 Launch continues to refine and evolve the brand of RidgeGate, a new urbanism community being developed within the city of Lone Tree, Colorado. 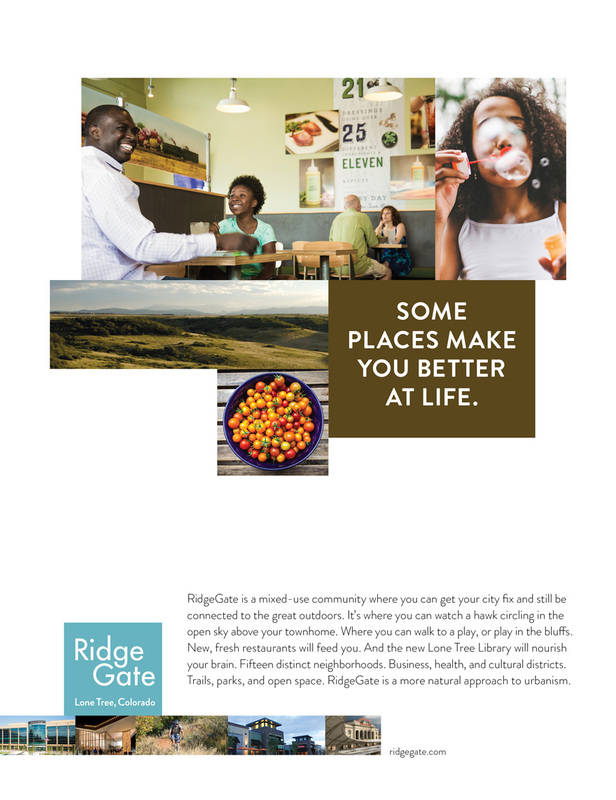 RidgeGate will ultimately span 3,500 acres south of Lincoln Avenue, on both sides of I-25. 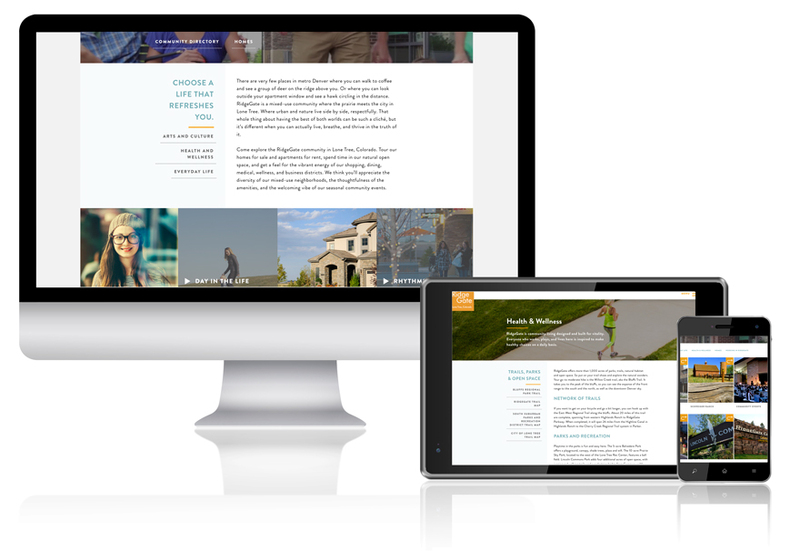 The community is manifesting itself at a carefully planned pace over the next 20+ years, with a long term commitment to walkability, livability, access, amenities, and scale. 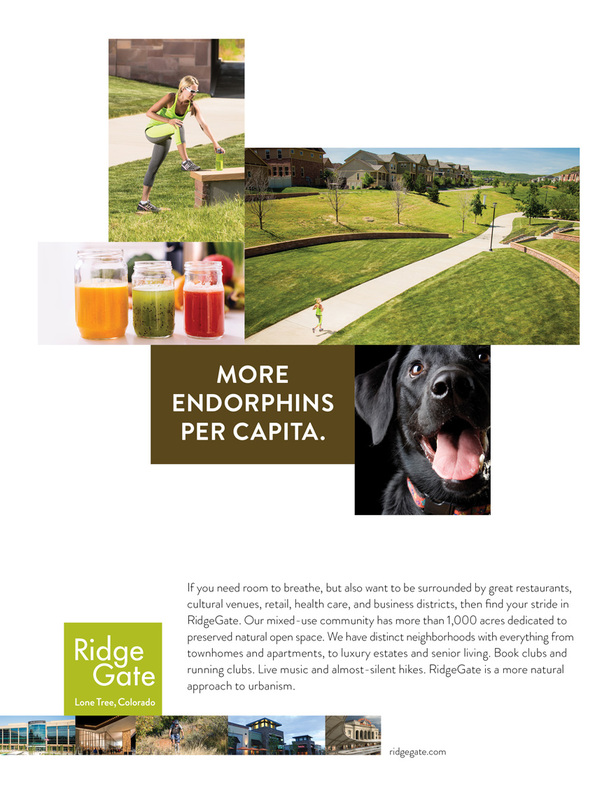 Our marketing, online, community event and social media programs underscore RidgeGate’s positioning as a sustainable community designed for health, wellness, and balance.